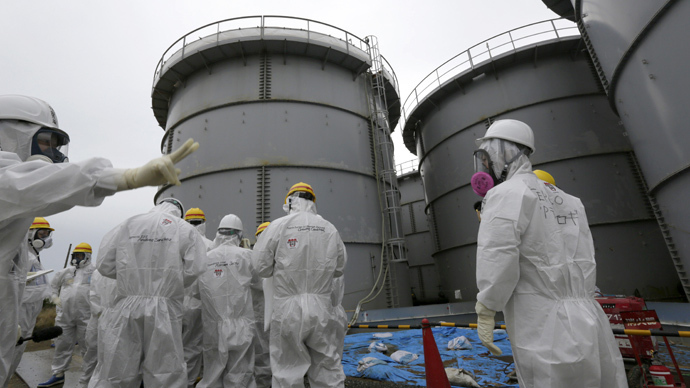 Japan’s government panel offered new measures to stop radioactive water leaking from the crippled Fukushima nuclear plant into the sea. Officials said the plant could completely run out of storage space for contaminated water within two years. 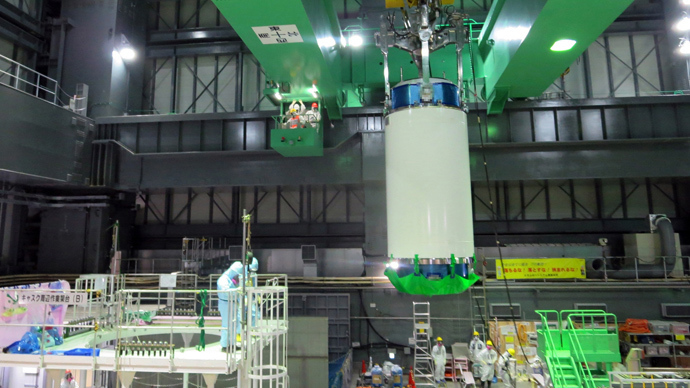 The new measures include ideas picked from 780 proposals from around the world that were requested by the Industry Ministry as Japan seeks international guidance to tackle the nuclear crisis. The measures were presented in a draft report from the contaminated water panel on Tuesday. 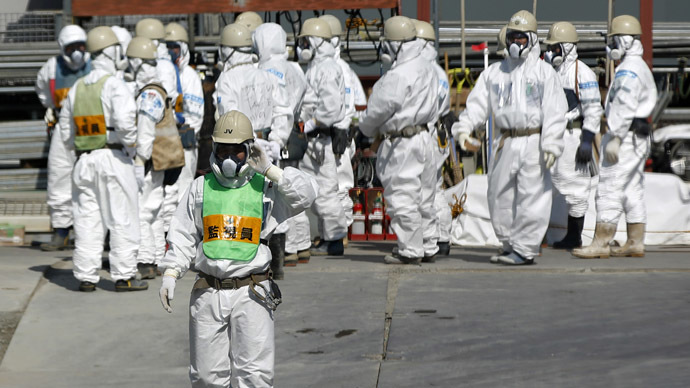 After the earthquake that triggered a tsunami in March 2011 and hit Fukushima, the cores of the three nuclear reactors melted and burnt through the concrete basement of the reactor housing. The water being used to cool the debris has been leaking into the soil and contaminating the ground water on the premises of the nuclear facility. This water eventually started seeping into the Pacific. One of the new measures proposed by the panel includes covering the ground with asphalt to reduce rain inflow. According to experts, the underground water that flows into the reactor and turbine basements is mostly rainwater. However the panel has not yet developed a specific plan and cannot provide the details including the extent of asphalt coverage, said panel official Yoshiyuki Toyoguchi, AP reports. Moreover, the decreasing amount of groundwater could lead to the ground sinking in places where hundreds of storage tanks with highly contaminated water are located, said Hitoshi Tsukamoto, a geologist at the National Institute of Advanced Industrial Science and Technology. The expert urged that measures to prevent sinking incidents should be calculated before implementing such a proposal. The panel draft also included a proposal to build more tanks with larger capacity and to install undersea filters for the contaminated water that is seeping into the Pacific. Another suggestion was to establish a team of experts that would deal with the large amounts of tritium – a radioactive isotope – contained in the water. Some experts suggest simply releasing the contaminated water into the sea, since tritium is a low-energy isotope that is considered to be less dangerous than other isotopes such as cesium and strontium. 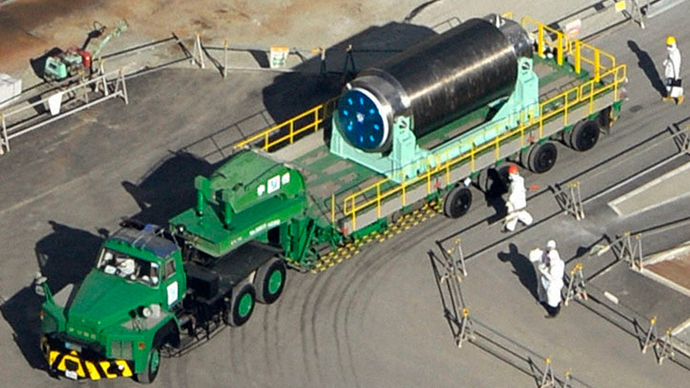 Tritium can be safely released into the sea when diluted, said Dale Klein, former head of US Nuclear Regulatory Commission who now serves as an outside adviser to TEPCO, adding that it is political decision for Japan to consider. 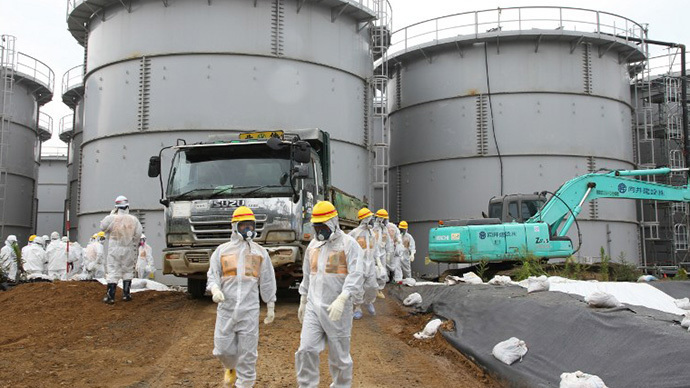 The draft proposals come as a part of the Japanese government push to speed up the cleaning of Fukushima. There are already about 1,000 tanks with over 370,000 tons of contaminated water at the facility, many of which have suffered regular leaks. In September the government pledged almost $500 million in funding for building an ice dam in the soil around the plant to stop drainage of toxic water into the ocean. 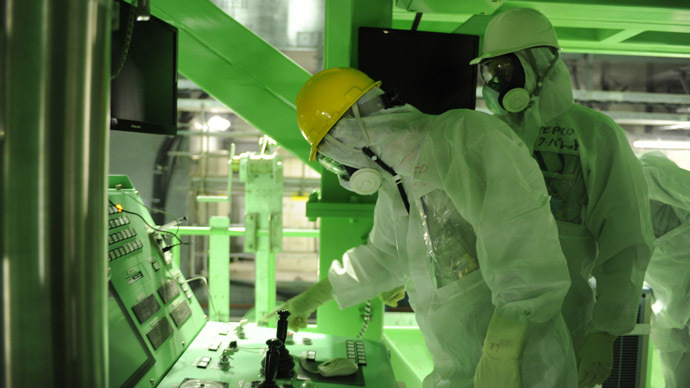 Riddled with problems, the complex process of cleaning up and decommissioning the plant consists of many components, including the removal of thousands of nuclear fuel rods from a cooling pool that began last month - one of the most dangerous operations ever attempted in nuclear history.